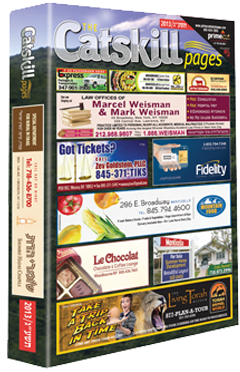 The First Heimishe Catskill Directory! 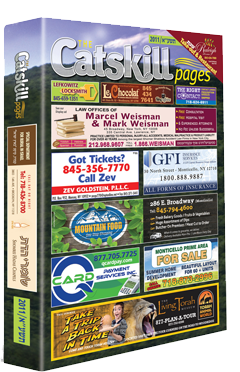 The Catskill Pages, a Catskill Directory Phone book, is a comprehensive compendium geared toward the multitude of vacationers who retreat to the Catskills during the summer months. 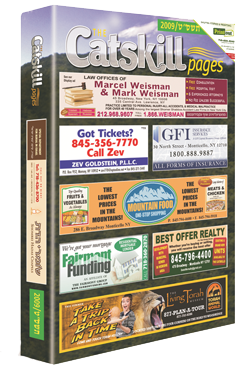 It includes a residential listing of phone numbers, including newly opened lines for summer rentals, as well as a business directory. This is sure to promote any type of business. 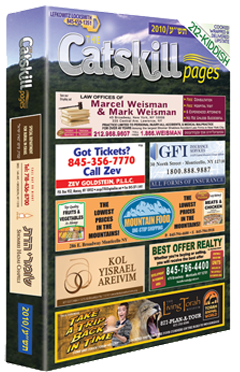 A detailed map, updated attractions, tourist guide, a kosher dining guide, a daily z'manem calendar, summer listings of Dayanim, camp listings, physicians, and various important and vital information are all included to enhance The Catskill Pages and to promote greater usage. 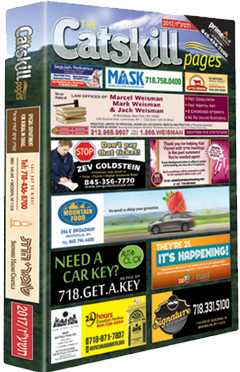 Our publication gets distributed door to door, in the Catskills and KJ, to all hotels, camps, summer homes, bungalows, stores etc. 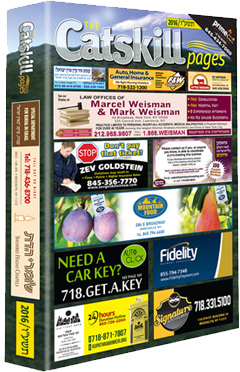 It is also distributed to stores in Boro Park, Williamsburg, Crown Heights, Flatbush, and Monsey. 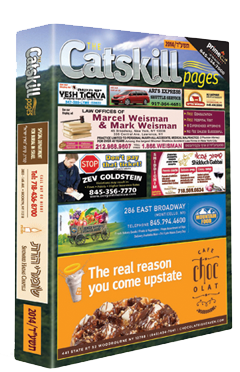 (Therefore we do include city businesses in the directory) The Catskill Pages is continuously being used by those in the city to enable them to keep in touch with friends and family vacationing upstate. This gives our advertisers more publicity. Whether you offer a service to the public or conduct a business, this is a wonderful vehicle to reach thousands. 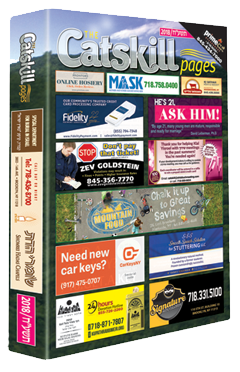 Over 23,000 copies get distributed, reaching over 100,000 people. This is not a flyer that will be discarded after a hurried glance, but a free and permanent addition, which is easy-to-read, enjoyable and referred to all summer long. (Note: furthermore, recipients refer to the publication all year long.) 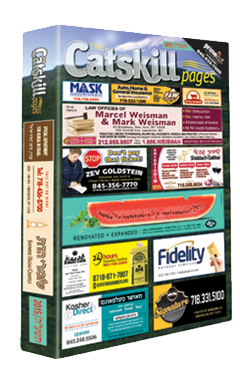 The Catskill Pages has proven itself to be a very useful publication, and the public eagerly awaits the new edition. 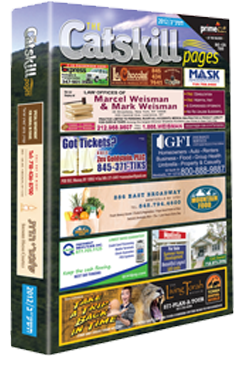 If you wish to join our valued customers, by letting the only Heimishe Catskill Telephone and Business Directory work for you, please complete and submit the Advertisement Order form and a representative will contact you. For additional information or to set up an appointment to meet with one of our sales representatives, please feel free to contact our office. Wishing you a prosperous and healthy summer.